Challenge friends in Dice Clubs for FREE! Dice Clubs - the best online dice game! 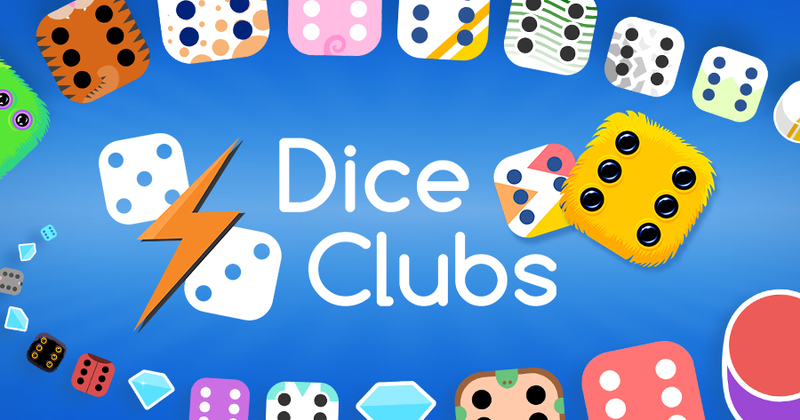 Dice Clubs is a fast-paced strategy game with simple rules! Mobile multiplayer version of the well known classic - play in real time or take turns! Gather Diamonds and unlock beautiful dice and cups. Make Dice Clubs truly your own! Challenge your friends from all over the world, re-discover one of the most popular competitive games ever! Create an account and switch between devices whenever you want! Play in the brand new Dice Duel Mode and win huge amounts of Diamonds! Climb to the top of the leaderboards! 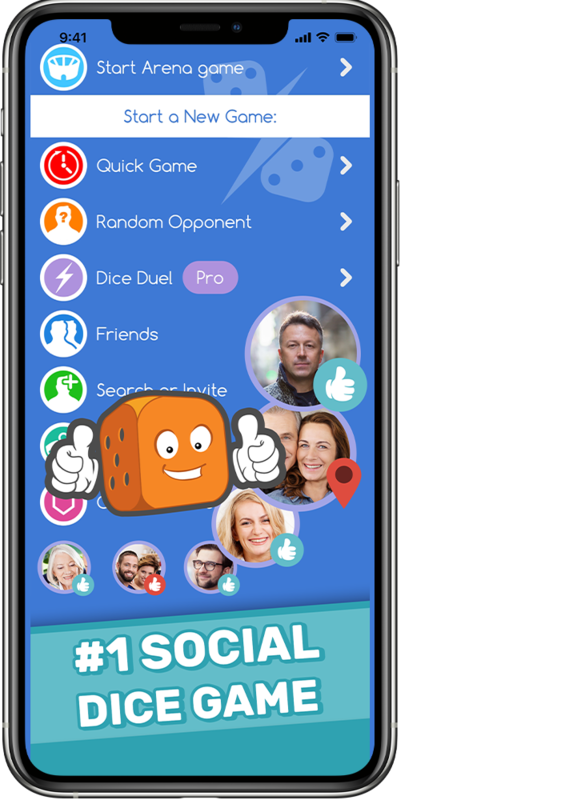 Play the most popular game in the world - Dice Clubs - online! Climb the leaderboards, unlock achievements, customize your experience and compete with players from all over the world! Challenge your Friends or look for opponents online and show them who's the master! No additional power-ups or die throws - the only thing that counts is your skill! 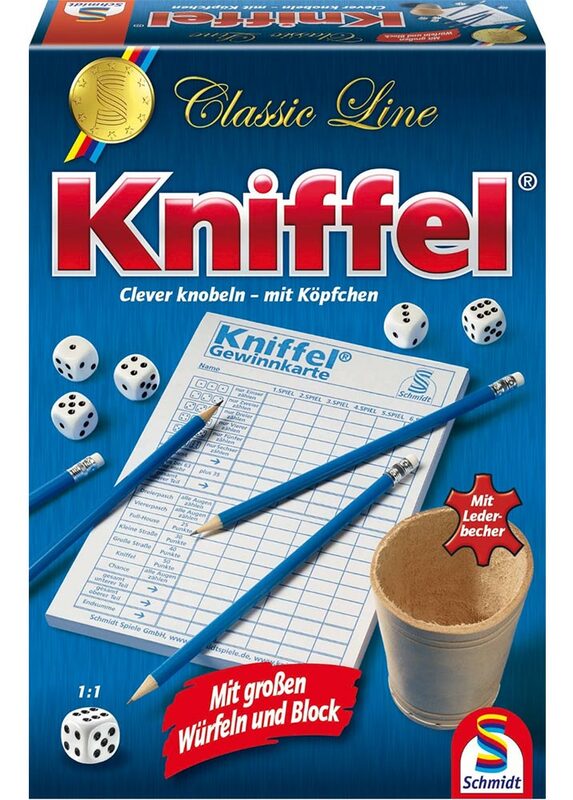 The aim of the game is to get as many points as possible by smart dicing. Each player has to dice once per turn. Each turn contains up to three throws of the dice. The first throw takes place with all five dice. Then each player can put aside the dice he wants to keep. The result can be improved by the second and third throw. At the latest after the third throw, one of the result fields has to be clicked on. The diced number of pips or the points of a combination with specific point values is registered automatically. If no entry is possible one of the fields has to be crossed out, that means one field is clicked on and 0 points are registered. The game ends after the last player has clicked on his last field. See how game looks like!